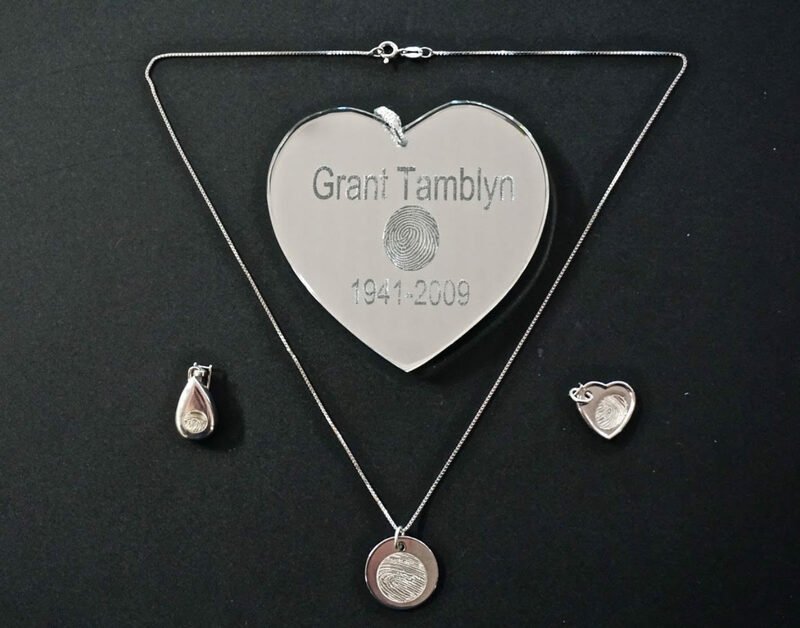 An item of jewellery can be a deeply personal way to remember a loved one. Our new electronic fingerprint scanner enables us to obtain prints from your loved one, which can be used to create unique remembrance jewellery and keepsakes. There is a wide choice of jewellery available, from pendants to earrings and more. If you would like further information, please get in touch and we’d be happy to talk you through the options.